Evelyn Croom Maxwell – Tell my story. In today’s edition of ‘Where are they now?’ we search for one of the original office buildings and residences of one Evelyn Croom Maxwell, distinguished jurist and lawyer of Pensacola, Florida. In 1890, Emmett’s uncle, Evelyn C. Maxwell was the law partner of Stephen Mallory II, who served as U.S. Senator and Representative from Florida, and was the son of Stephen Russell Mallory (the law partner of Augustus Emmett Maxwell, Evelyn’s father, and Emmett Wilson’s grandfather). According to Webb’s Pensacola Directory, Mallory & Maxwell’s office was located at 204 1/2 South Palafox. The original Mallory & Maxwell office building still exits. More good news: Evelyn Maxwell’s 1890 residence at 317 North Barcelona Street exists as well. Evelyn C. Maxwell’s one-time residence at 317 N. Barcelona in Pensacola. As promised, I’m following up on the earlier post about the folks at the Smithwick luncheon. I’ll start with information about the host, John H. Smithwick: Farmer, attorney, U.S. congressman, accused check kiter, and survivor of the Knickerbocker theater disaster. When the 1907 article was published, Smithwick was Walter Kehoe’s law partner. We know from Smithwick’s official biography he was born in Georgia in 1872; was graduated from Reinhardt Normal College in 1895, then attended law school at Cumberland University. He was graduated in 1897; admitted to the Georgia bar in 1898, then moved to Pensacola the same year as Emmett, in 1906. Mayes ran another feature on Smithwick’s farm, in the May 17, 1914 issue of The Pensacola Journal. Although Smithwick expanded into farming, he was listed in the Pensacola City Directory with a business in naval stores; his residence as 206 W. Lloyd (a house still standing). 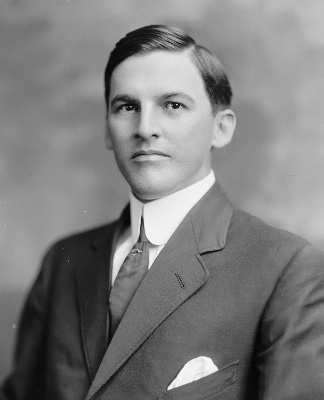 When Emmett gave notice that he was retiring from congress in April 1915, his two friends, Smithwick and Walter Kehoe (along with two other) ran for the Third District Congressional Seat in the June primary. Smithwick’s tenure in office was also undistinguished — until he left office. Smithwick claimed he was innocent until the day he died. The most interesting story I found about Smithwick was that he was a survivor of the Knickerbocker Theatre disaster in Washington, D.C., January 28, 1922. In an interview he gave to Associated Press reporters, Smithwick recalled in great detail the how the ceiling of the theatre caved in under the heavy snow that had accumulated on the roof, and that he’d climbed out of the rubble, and walked home, without his hat or coat. He had several cuts and bruises, and likely a concussion. Smithwick said he didn’t realize how badly he was injured, until he arrived at home and family members called in a doctor immediately upon observing his condition. Kevin Ambrose’s excellent article 95 years after the disaster, including stories of those who helped rescue theatre patrons, and those who tragically lost their lives. A historical essay about the Knickerbocker disaster on the blog, The Dead Bell. John Smithwick’s interview, with great details, published by the Associated Press (below), via the New York Times. Source: New York Times, January 1922. Emmett’s best legal education came not at Stetson University (where he was the valedictorian of the 1904 law class; it came not at the hands of his esteemed and experienced older brother, Cephas Love Wilson, Esquire. It came when he was, essentially, fired from his dream job in Sterling, Illinois in late May, 1906. Emmett had left his home, his family, his old friends, and a decent job to move almost 1,000 miles away to start a new law partnership with Nicholas Van Sant. To be left alone to his own devices without well-meaning friends and family members offering suggestions/advice. But four months into the dream job, he’s discovered that his situation isn’t what he expected. As the solo lawyer in the firm (Nick had a full-time job as president of the Sterling State Bank), he certainly got to immerse himself in the law — but he was awful at office administrivia — and I don’t think he was prepared for how much work there was to do with the cases, by himself, even with the help of a secretary. This was just the thing that Cephas had warned Emmett about back in Florida before he left: It wasn’t enough that Emmett was a good litigator. Running a law firm by yourself involves a lot of managerial and administrative skills that he just hadn’t mastered yet. The loneliness got to him, too: Even though Emmett preferred solitude, it was because it was his choice to remain alone, on the outside of the social circle, if that makes sense. He was from a prominent social and political family in Florida, where he’d not had to worry about social acceptance — everyone who was anyone in West Florida politics and society knew him because of his family. Emmett didn’t have to put forth any effort to become ‘known’ back in Florida. His family’s reputation did that for him. But in Sterling, Emmett was an oddity, an outsider, an unknown. After having family, friends, loved ones in your face (and in your business) every single day, as it was for Emmett back in Marianna, it probably was a relief for him to be left alone. At least for the first few weeks. The locals in Sterling were certainly polite to him, but it was hard for him to break into professional and social circles when you are (just about) the only Southern Democrat in solidly Republican northwestern Illinois. What I think also did Emmett in was the fact that he had to actually work hard to become a part of Sterling’s political and social community. Think about this: The social and political relationships linked closely to business relationships in this small town. Emmett hadn’t had to work at any of these relationships at this level before leaving Florida. I estimate that by the end of April, 1906, he realized that the move to Sterling was a mistake. It wasn’t his legal skill; it was the fact that he didn’t fit in, personally, and he didn’t know what to do about that, because he’d never had to give that thought. That’s when he slipped back into drinking for relief. Eventually, the drinking interfered with his legal skills, which is when someone (or something) tipped Nick Van Sant that something was awry with his protege. Whoever (or whatever) it was, it spurred Nick to stop by the law firm one day to examine the books. Nick, himself, probably turned them over to his cashier, Frank Heflebower, who would have gone over the accounts carefully. Frank would have advised Nick that something didn’t balance. The clue that leads me to think this was about poor financial management on Emmett’s behalf comes from an interview Van Sant gave in the 1950s where he discusses his long career, and mentions that just about the only year the law firm wasn’t profitable was the first one, when he’d only cleared $700 that entire year. The fact that Emmett was drinking (probably on the job) didn’t help. They parted on a friendly basis: Van Sant found another partner who he’d known for several years and was local. It is likely Van Sant also absorbed losses incurred from his partnership with Emmett. Emmett started his career over again, in Pensacola, working for his uncle, Judge Evelyn Croom Maxwell, wiser for the experience and uncomplaining about his lot in life (at least he did not complain publicly anymore). A little over a month ago, I reported on finding electronic copies of The Pensacola News for 1902. The electronic newspaper is located on a database at the George A. Smathers Library of the University of Florida. You can see the copies for yourself at the link here. There are only a few years of this publication available — and luckily, it exists electronically. My colleagues at the University of West Florida have several bound copies of The Pensacola Evening News (the later iteration of this same paper) from 1913 to 1918, but unfortunately, could not let me (or anyone else) look at it, because the bound copies are literally disintegrating. When I was in Pensacola last October, I asked (my second request), even brought my own cotton gloves with me. The archivists — who know me fairly well by now — really wanted to let me look through the books, but they couldn’t. I spent several weeks carefully going through every single paper available electronically during the brief period when Emmett lived in Pensacola (September 1901 to February 1902), before he enrolled at Stetson University. What I know about this period is that Emmett was attending Meux’s Business College, taking shorthand and secretarial courses. Advertisement from August 30, 1901 edition of The (Pensacola) Daily News. Emmett had been clerking for Judge D.J. Jones, during this time — but he could only do so much without knowledge of shorthand. It is likely Jones recommended Emmett obtain shorthand training. Emmett was visiting family during the summer of 1901, and this advertisement got his attention. Shorthand was cataloged under the ‘Sciences’, as in business science. Source: The (Pensacola) Daily News, August 30, 1901. Emmett most likely lived with his uncle, Judge Evelyn Croom Maxwell during his six months in Pensacola. Emmett’s grandfather, Judge A.E. Maxwell, was also in Pensacola, but not in the best of health in 1901 — and at that point, A.E. Maxwell had moved in with his son. Alas, there’s a big, empty lot now where the Maxwell house once stood. Emmett’s story is still moving forward; as reported a few weeks ago, I’m nearing the end of the first installation of the book, which covers 1899-1906. At present, I’m deep in the last half of 1905, around Labor Day. It wasn’t a big, last-summer-hurrah vacation for Emmett, because in 1905, Emmett spent the holiday in Marianna. In previous years, he’d likely have gone to Pensacola to stay with the Kehoes or his uncle Evelyn Maxwell’s family, but this year there was a serious yellow fever outbreak. Source: The Pensacola Journal, page 1, Sept 5, 1905. Besides, by Labor Day, Emmett already had his big vacation. Every year in August, Emmett spent his summer vacation with friends and family in St. Andrews. After he was more established in his career, he would block out the first two or three weeks in August specifically for St. Andrews, where he would spend it with either Cephas’ family (they rented a cottage for a month), or with the Kehoes (who also took a cottage for the same duration). If there wasn’t enough room for him at one point or another, he’d take a room at the Gulf View Inn for a few days or a week. St. Andrew’s Buoy, August 21, 1902 — Cephas and family renting a cottage. This was routine for Cephas and other Wilson family members. One thing that stands out in studying Emmett’s vacations is that he was very much a creature of habit. Every year, without fail, it was St. Andrews, where he would spend most of the time fishing with his brothers. He would not (and did not) simply take off for somewhere new, just to go exploring — routine was comfortable. Besides, he was a mostly solitary, reflective type of person — hours of fishing suited him very well. He could retreat from whatever pressures and stressors in solitude, sitting on a quiet sandbar, waiting, thinking, yet still being productive in catching his dinner. Earlier this week, we looked at a few of Emmett’s colleagues from his early days in Pensacola. Since then, I’ve had an update on Emmett’s uncle, Walker Anderson Maxwell, from the excellent Sue Tindel of the Jackson County (Florida) County Courthouse. From the May 21, 1909 edition of The Pensacola Journal. “Letters of Administration were filed by Cephas (Emmett’s brother); stated that Walker A. died intestate and the estate consisted of an insurance policy payable to his estate. As was I. The obituary in The Pensacola Journal states a surprise, short illness, but does not identify it. This raises all kinds of red flags in my imagination. Once upon a time, the Maxwell name carried a lot of weight in West Florida politics. The Maxwells were considered a dynasty in West Florida legal circles, starting with Emmett’s grandfather, Augustus Emmett Maxwell, and uncle Evelyn Croom Maxwell, both of whom served on the Florida Supreme Court. Augustus and Evelyn were wealthy, prominent men; Walker didn’t seem to have had that sort of prominence, and I wonder if that bothered him. Perhaps Walker aspired to the same, and just wasn’t getting there fast enough (in his estimation). There’s nothing wrong with leading a life of non-prominence; an everyday job has dignity and meaning, maybe even more so than some of the more ‘important’ jobs and jobholders we see in the workforce these days. At this point, I’m only speculating, because I haven’t seen the copy of the death certificate yet.